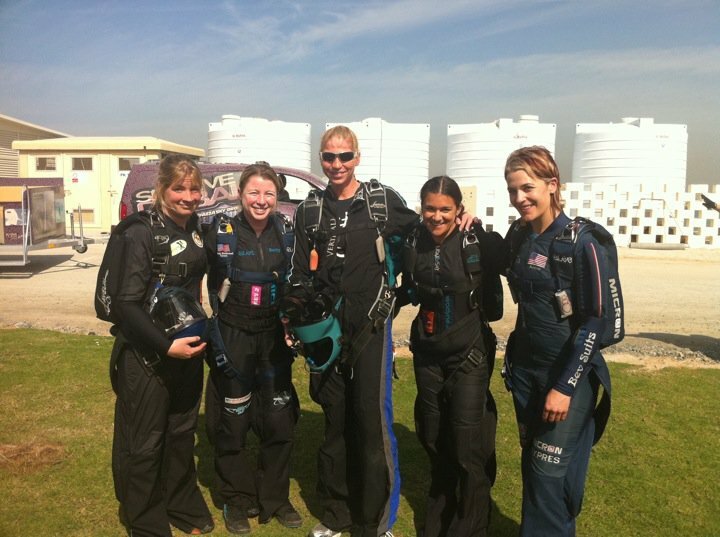 Karen Lewis Dalton and Team are currently competing in the Dubai International Parachuting Championship & Gulf Cup 2011. This entry was posted in Skydiving and tagged 2011 Gulf Cup, Dubai Skydiving, Karen Lewis Dalton. Bookmark the permalink.